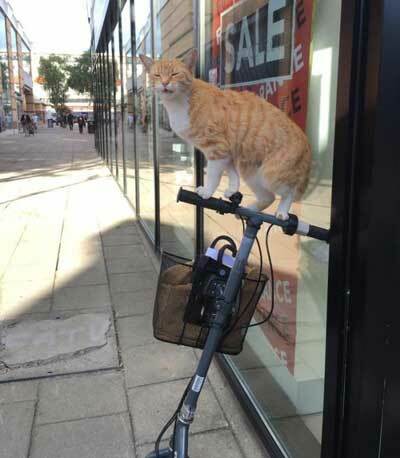 A cat was caught red-handed apparently attempting to steal a shopper’s motorised scooter. 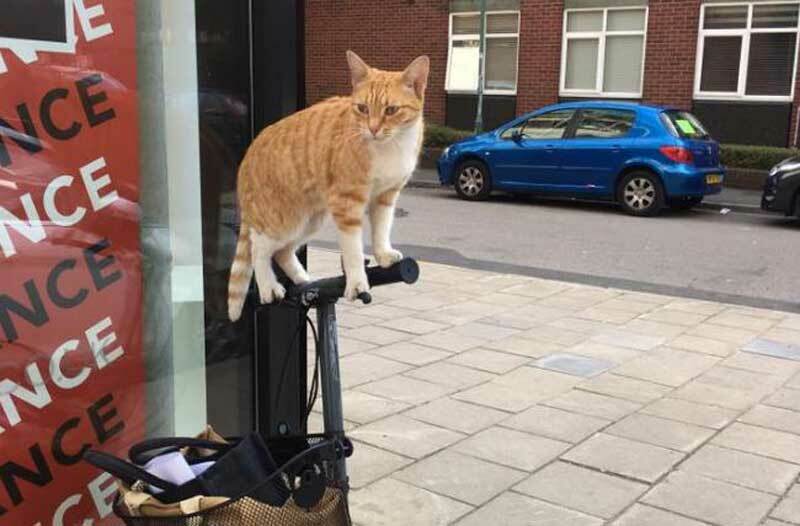 Teresa Green, 50, spotted the feline,who is known to frequent Wallington Square in Sutton, south west London, when she returned to her scooter after leaving a store on Monday. Mrs Green said seeing the would-be cat burglar was “the cutest thing ever”. She said she often spotted the perpetrator in the area, adding: “He often gets into the basket, the cheeky little thing. “I’ve been seeing him wandering around here for the past 18 months or so. He’s so friendly. Lots of personality. Always wants a stroke.” Mrs Green added that although the puss had its paws on the accelerator, she was not scared it would speed off on her scooter.